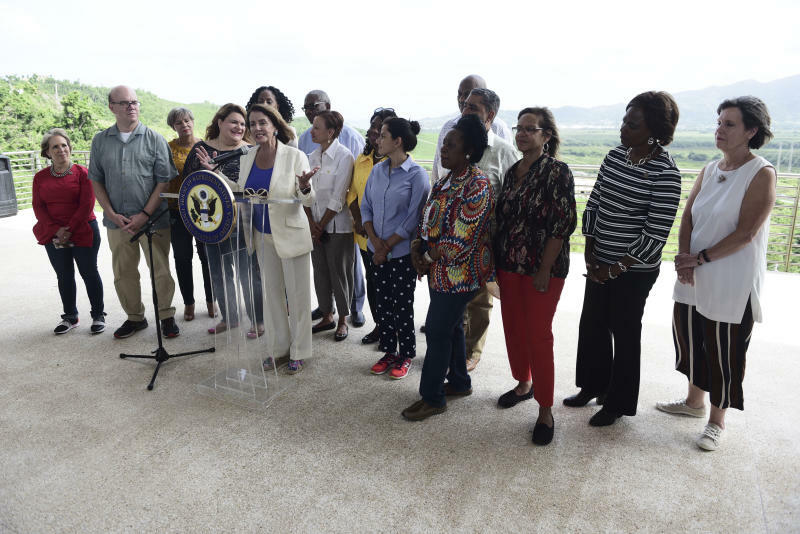 YABUCOA, Puerto Rico (AP) — House Democratic Leader Nancy Pelosi pledged on Friday to help speed up the hurricane recovery process in Puerto Rico after a two-day visit to the U.S. territory with 15 other federal and local legislators. The representatives toured the island to learn about needs that haven't been met more than 10 months after Hurricane Maria hit as a Category 4 storm and caused more than an estimated $100 billion in damage. "There is a contract with the federal government and people that was not fully honored, in my view," Pelosi said. "We need perhaps in our legislating, in our advocacy, to find a way to speed things up, to cut red tape, to reduce bureaucratic obstacles...Time is the most valuable commodity. It makes a big difference in people's lives." The California Democrat noted the U.S. Federal Emergency Management Agency released a report earlier this month that in part found it was understaffed and that officials underestimated the amount of food and water needed in Puerto Rico after the storm. Some 260 power customers across the island remain without electricity, and more than 28,000 Puerto Ricans have been denied help by FEMA, said Puerto Rico's representative in Congress, Jenniffer Gonzalez. "There's no excuse," she said. 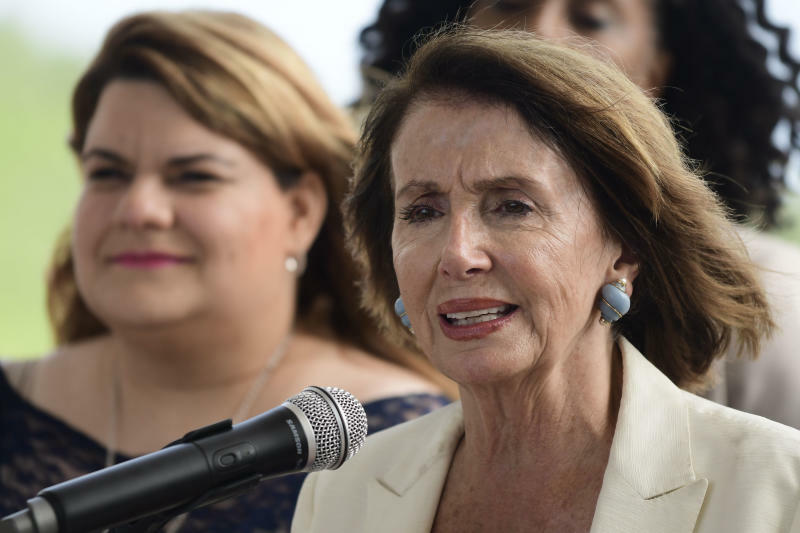 The visit comes after a group of Democrats filed a bill that would allow Puerto Rico and other U.S. territories to cancel their debt if they meet certain conditions, including experiencing a 5 percent population drop over a decade. Pelosi acknowledged that it's up to Republicans to bring the bill to the floor. "We are not in power," she said, stressing that people on the island need help. "Let's go forward in a way that does not institute austerity measures, which will do nothing but exacerbate inequality, disparity in income in Puerto Rico." The administration of Gov. Ricardo Rossello and a federal control board overseeing Puerto Rico's finances are currently in court fighting over two different versions of this fiscal year's budget, with Rossello rejecting numerous austerity measures. A judge is expected to soon make a ruling. 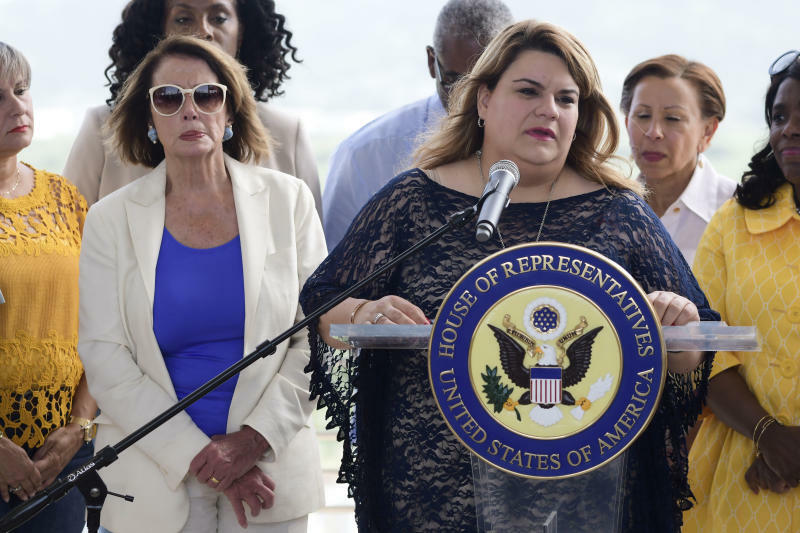 House Democrats also are seeking the creation of an independent commission to examine Maria's official death toll, which stands at 64 but is believed to be much higher. In June, Democratic legislators filed a bill to create federal procedures for counting deaths after a natural disaster. It would set aside $2 million in federal funds to commission a study through the National Academy of Medicine on best practices for counting deaths. States and U.S. territories currently have different ways of doing so. Democratic legislators have said that an accurate death toll can help identify vulnerabilities, determine whether the disaster response was appropriate and influence the amount of federal funds a government can receive. Families whose loved ones died as a result of a disaster can also receive help from FEMA.